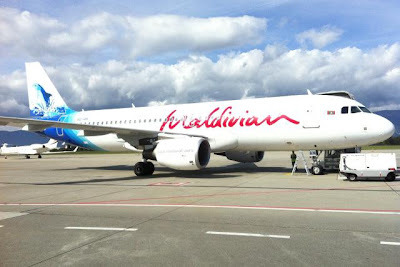 Maldivian is the airline division of Island Aviation Services based in Malé, in the Maldives will introduces direct flights to Gan Island, Maldives from the largest city and the commercial, industrial and cultural capital of Sri Lanka, Gan - Colombo route start from August 07, 2013, offering 1 weekly service. These route will be serve by Airbus A320 aircraft. Gan is the southernmost island of Addu Atoll, as well as the southernmost island of the Maldives. All times are local. “+1″ stands for next-day arrival. Operate by Airbus A320 aircraft.